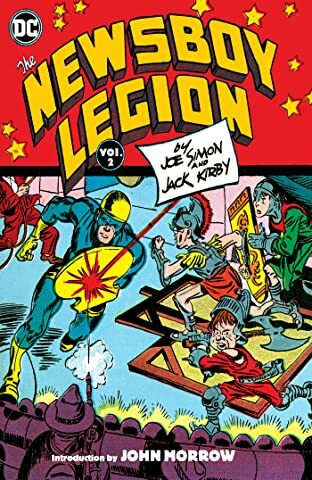 In 1942 the creative team of Joe Simon and Jack Kirby was firing on all cylinders. 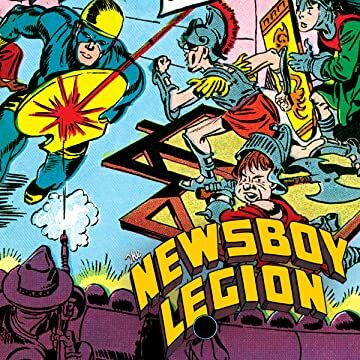 Following their spectacular success with Captain America and the Sandman, anticipation for Simon and Kirby’s next project was sky-high—and the two comics powerhouses did not disappoint when they unveiled the Newsboy Legion starring the Guardian! With its bracing mix of streetwise urchins, graft-fueled gangsters and panel-busting action, the Newsboy Legion was an instant smash. 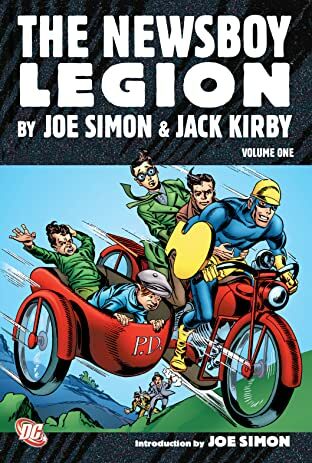 The adventures of Gabby, Scrapper, Tommy, Big Words and Officer Harper ran for nearly five years and cemented Simon and Kirby’s reputations as two of the medium’s most innovative and prolific practitioners.